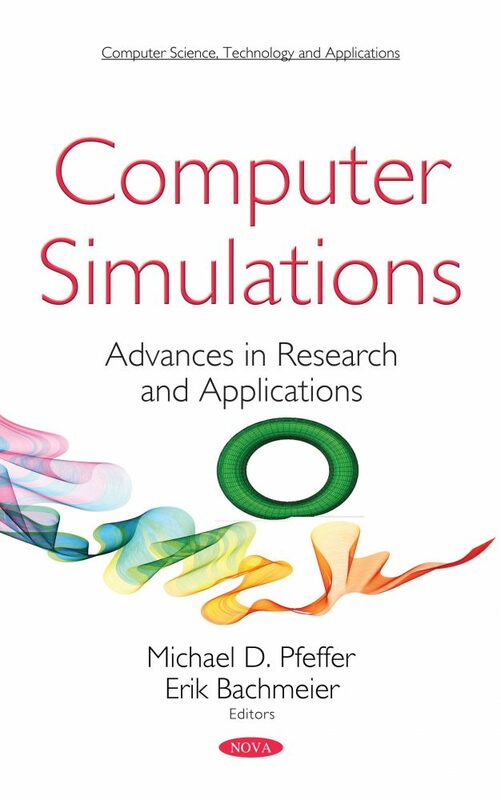 Computer Simulations: Advances in Research and Applications begins with a concise overview and background of the topic during the past decade. The finite element method and the commercial available codes are introduced with an emphasis on Abaqus as the mostly used software in this field. The next part deals with the tire geometry and creation of a consistent and computationally effective finite element mesh from 2D and 3D drawings. The material models used for the description of the mechanical behavior of tire constituents are also examined. The following paper is dedicated to the computer simulation modeling as a method of solution of differential games where analytical investigation is problematic. The main idea is that a very small number of scenarios including both control variables and parameters can provide a sufficiently good qualitative representation of dynamics of the modeled system. The Tablot Effect, which was first experimentally observed by Henry Talbot in 1836, is discussed. It is the repeated self-imaging of a diffraction grating at regular distances in the near-field behind the grating. If the observed diffraction images are laid out as a function of distance, a beautiful and repetitive pattern is observed; this is known as the Talbot carpet. The methodology of how the IFIM method was applied for the simulation of Talbot effect is described explicitly followed by a systematic synthesis of the Talbot carpet from the generated data. After this, Beckmann’s scattering model is adopted to simulate the light scattering from the yarn surface and to analyze the relation between the scattering pattern and the surface twist angle. The solution of the scattering intensity distribution for the yarn surface profile is derived and numerical results indicate that the highest light intensity on the backward light scattering pattern lies along the direction perpendicular to the surface fibers regardless of the fiber or yarn parameters. The result of this chapter can serve as the theoretical basis for the measurement of yarn surface twist angle based on backward light scattering by the yarn. The authors go on to present a numerical study of the unsteady airflow characteristics inside a solar chimney power plant. Ansys Fluent 17.0 is used to simulate the air flow within the solar setup. To validate our study, a solar prototype is built in the National School of Engineers of Sfax, University of Sfax, Tunisia in the North Africa. Subsequently, the authors also present a distributed boundary value problem of thermal desorption with nonlinear dynamical boundary conditions. The problem is reduced to the nonlinear functional differential equation of neutral type for surface concentration. A numerical method is developed for TDS spectrum simulation, where only integration of a nonlinear system of low order (compared with, e.g., the method of lines) ordinary differential equations (ODE) is required. Lastly, the book presents an aggregation procedure for hydrogen permeability experiments precluding depressurization and (or) change of the samples of investigated material. Additionally, the corresponding mathematical software for correct processing of measurements along with appropriate assembly of the experimental unit is described.